Northwest National Real Estate: NEW LISTING! Riverfront Building Lot Friendly And Quiet Neighborhood Near Recreational Fun! NEW LISTING! Riverfront Building Lot Friendly And Quiet Neighborhood Near Recreational Fun! Level, high-bank river, front lot for sale located in Riverbend, Montana! The property is in a friendly and quiet subdivision. Building site is just east of Superior, approximately 8 miles away with a partially improved lot! There is a well but a pump & water system are needed. Septic is already approved with some restrictive covenants. County maintained road. There are plenty of recreational activities nearby like fishing, hunting, river floating, etc. The Lolo National Forest, Lolo Hot Springs, Flathead Lake, Flathead National Forest, Seeley Lake, and the National Bison Range are all nearby! 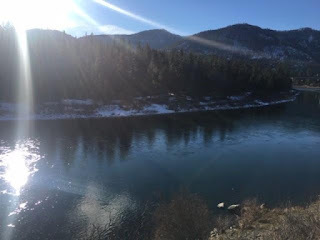 Build your Montana dream home on the Clark Fork River! If you have any questions please contact Bessie Spangler at 406-822-2316. Priced at $99,900.